A couple of Fridays ago, I spent a morning in my ward at a community clean-up event. As councillors we do these a fair bit, and they essentially involve picking an area and, er, cleaning it up. It was organised by the police with a local church, along I led a team which included a couple of young offenders who had volunteered for community payback (though understandably didn’t volunteer to be in this photo). The other group who I’ve done these with is a local neighbourhood watch, where the age profile is a little different (I was the oldest on this clean up- at the neighbourhood watch I’m the youngest). The neighbourhood watch one is lovely- people stop and talk to us and say hello and there’s a nice feel to it. This one however, was rather different. The young people were great, but not a single person who walked past spoke to us. Not one. I even said a friendly hello to a couple of people I recognise from local meetings- and they walked straight past. In fairness, we were dressed head to toe in disposable overalls and looked a tad ridiculous- no, you’re not having a picture of that- but still, I was really, really surprised at the contrast. I suppose it was a sharp reminder for me of the attitudes younger people are often faced with. A few years back I helped out at charity Envision’s Truth About Youth day, going out with young people to speak to older people in town to challenge stereotypes held about them- a day that was both brilliant in the difference the young people made in each stranger they talked to and their enthusiasm, but sad when you realised what the older people believed prior to that. It’s a lesson I’ll need to remember for a long time. I’m not going to tell you my age as it doesn’t really pay to do so in my position, so let’s just say I currently look too old to get asked for ID (sob) but young enough that I get told at least twice a week that I “look rather young for a councillor”. And young enough, on that litter pick, that I passed for one of the scary young people, and got treated like they were for a couple of hours. Too soon, I’ll look too old to have that problem, and it’s important to me that I don’t forget what it’s like for those that do. This, by the way, is less than a quarter of what got collected that day. 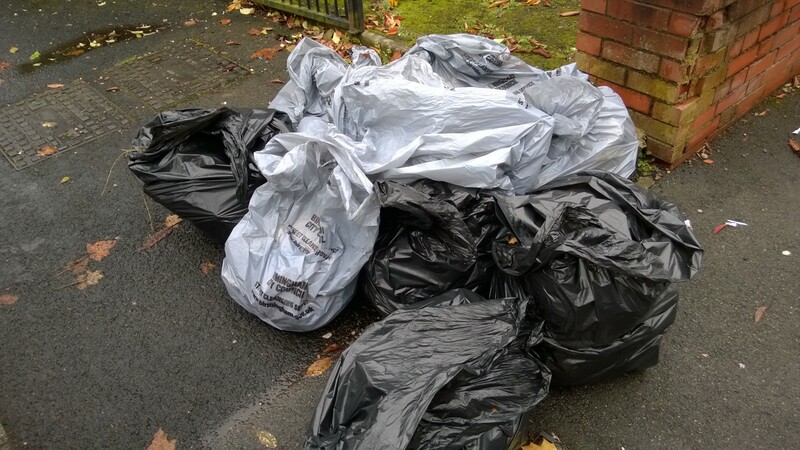 So next time you’re getting the bus by Sainsbury’s in Selly Oak, or passing the Bear and Staff, think a thank you to the young people who cleared it up for you. I was asked to write a blog this week by Councillor Penny Holbrook. Penny met a girl this week who didn’t think that women could be scientists. When asked why, it turned out that she had never met one or seen one. So, as her friendly neighbourhood physicist, Penny asked me to put her right. This isn’t that blog – this is a somewhat self- indulgent blog about me thinking about how to write to the girl. More of a blog for those who work with her. I seem to have a habit of ending up in places women don’t traditionally go; I’m a woman with a physics degree who currently works in politics. I know what it’s like to be the only woman in the room, to be mistaken for the note taker, the work experience girl, the councillor’s daughter or the scientist’s friend. I know what it’s like to be asked to speak at an event “because we need a female face on the panel”. I also know what it’s like to think you can’t be in the room in the first place. There’s a story I often tell school children when I’m asked to speak to them, and it’s about how I picked my career. When I was sixteen, I chose science- funnily enough, I never realised it was a “boy thing” until I found myself outnumbered 15-3 in my A-Level class. Maybe that was because of Dr Hudson, a real live female science teacher I had in year ten? Maybe it was Miss Wood, who so clearly loved the science experiments we did in year five. Anyway, I went off to university and did a degree in physics. I didn’t, however, pick what I should have- engineering. And that’s because I’d never heard of it, and my college careers adviser never told me it was an option. Boys in my class went on to become engineers, but not the girl with A-Levels in Maths, Further Maths, Physics, Chemistry, and an AS in Politics. No one had thought to mention it to her. Even though I’d broken through the invisible barriers enough to pick science, there was still somehow something in the way of me getting the same advice they did. But there was another aspect to what I wanted to do, and this I didn’t tell anyone at all about. I was interested in social justice, and saw the route to achieve that as politics. Why didn’t I tell anyone? Well, I’d only ever met one politician. He was my local MP, and he was a grey haired homophobe. The ones on the telly were posh, and I wasn’t. People like me from “bad” schools in little towns didn’t do that kind of thing. It wasn’t something that my time at university really challenged either- I once ended up as the Labour rep in a debate against two MP’s sons, whilst in the audience sat the son of a Lord. I reckoned I didn’t stand a chance- my dad was a nurse and my mum was a teaching assistant. Although maybe he’s where I get my unconscious gender-stereotype rebellion from. I wound up breaking through the big invisible barriers in my head and becoming a council candidate, and then to my surprise a councillor. I served for two years as the only woman on Birmingham City Council’s Cabinet – but you’d be amazed how many people didn’t notice I was the only one. It was, I think, gradually seeing other women do it that made me change my sub-consciously held view. My local Labour Party branch chair was Theresa Stewart – the first, and to date only, woman to lead Birmingham City Council. I saw people like Gisela Stewart and Shabana Mahmood go to Parliament. People like Harriet Harman started getting a bigger profile on the telly. My inhibitions got eroded without me really noticing. And that’s what I wanted to do for the girl Penny met, but it’s not something I can do on my own. It’s something we have to do in every school in the city, and that every work place has to help with. My likeness exists somewhere in Leicester on an HE STEM resource made to show young people what scientists really do- I want schools to use it, and resources like it. I know amazing young women who have gone to work in science- my mate Heather worked for NASA, Laura programmes for the NHS, Sameera builds nuclear power stations- I want schools to invite them in. But it’s not just about science, and it’s not just about girls. I want nurses like my dad to be visible. I want councillors like Penny to be seen. I want men like my mate Cory teaching in primary schools. I want children to grow up without the hang ups I did. I want to see women in science laboratories, council chambers and walking along canals. And I want to do what I can do help. Why canals? Well, that’s the end of my story. Because liberated as I thought I was, I found myself protesting in horror this week when my mate Chris suggested we walk home along the canal at night. I love canals, but it was dark, and I was NOT going down that canal. The group of guys I was with all laughed. Why on earth wouldn’t I walk that way? It was much quicker, and the light pollution meant it was pretty well lit. They ran and cycled along it after dark all the time. So I gulped, and followed Chris into the terrifying abyss. And it was utterly beautiful. We didn’t encounter another soul the whole way back, just sleeping geese and gorgeous moonlight. I had discovered a whole new view of my city, and it was gorgeous. But it had been off limits to me, because I was a girl, and had the fear of the Gods put into me about what might lurk in the silent shadows that no one had thought to mention to the boys. As I walked, I remembered a piece I had written some years ago that struck a chord with a surprising number of readers. And it reminded me that the barriers still lurk, where you least expect them. I’ll write my letter to Penny’s girl later, but this one is for those that work with girls like her, and girls like I used to be, and the girl I realised I still partially am. Male, female, young, old, you can help make the difference in everything you say to them and teach them. Like many parents, I spent my Saturday morning this week relaxing with my kids. We went to an event the Council had put on, and they had a great time playing on bouncy castles and mobbing someone in what I’m reliably told by Peter Hay was an Olaf costume. kids in the traditional sense- they’re in the Council’s care, and I’m their corporate parent. And I’ve got just over 1900 of them. Corporate parenting is a great concept, but a hard one to pin down. It means, simply, that for any child in a council’s care, the council should strive to provide for them what they would for their own. It’s a responsibility shared by members, employees and partners alike. But how do you go about this when you’ve got so many and you’re so remote from them? It’s a question councils up and down the country grapple with. In Birmingham, we recently revamped our strategic approach. We have a new, improved and focussed Corporate Parenting Board which meets bi-monthly, and a Corporate Parenting Champion, Councillor Val Seabright. At the Board we keep track of the vital statistics that tell us how our children are doing – data from health, education, and social care- and check up on progress against the priorities our Children in Care Council has set for us. Outside of that, Val leads on championing the issue amongst members and staff and make sure we are all doing our bit. I monitor progress on adoption and fostering improvements through the Children’s Safeguarding Improvement Board I chair. The Overview and Scrutiny Committee holds the whole system to account. But I decided to write my blog on this topic this week not because of the meetings I sit in, important as they are, but because of the fun I had yesterday. The bouncy castles and people in Disney costumes were the reward at the end of our first awards ceremony for children at the Virtual School- a “school” that all our children in care are part of, wherever they actually physically attend. This school has a head teacher and staff who make sure that every single one of our children is getting the extra help and support they need wherever they get educated. The ceremony was brilliant- children collected awards for attendance, “brilliant behaviour”, literacy, sports and overcoming personal circumstances, to name but a few categories. They brought their carers and siblings, fostered and familial, along to see them collect certificates from the Lord Mayor. Partners of the Council and local businesses chipped in to sponsor and make it extra special (thanks Queensbridge, Greggs, Pizza Hut, Service Birmingham and OLM!) and several senior staff and councillors came along too. And sitting in the audience watching my kids grinning on stage with their awards, I couldn’t help but feel like a very proud corporate mum. This blog first appeared on Birmingham Newsroom on 7/10/2015. Last week I did the probably the most valuable thing I have done in a long time – I spent an afternoon shadowing one of our social workers. This is something I’ve done once before, some years back, but was itching to do so again. I try to visit offices regularly to see how things look through your eyes, but wanted to get out again to see things on the frontline. Knowing what happens in theory is one thing; looking a grandmother in the eyes as she’s told her daughter may never get her children back is something else. I spent my afternoon with my chaperone, a senior practitioner in South, and we started out at a Child in Need review. A mother had recently left her abusive partner with her children, and seemed to be flourishing. I was bowled over by the sheer scale of what she had to cope with – education appointments followed by medical appointments, squeezing in parenting classes, not forgetting domestic abuse recovery sessions and social worker visits. The range of people involved in her family’s life was extraordinary, but – crucially – they all seemed to be working together. And, very importantly for me, it wasn’t just the children getting help, it was the mother too. The Allens Croft Project had been helping her get herself and her children out of the abusive relationship, and helping her, amongst all this, to find the time she needed for herself. The meeting finished with everyone agreeing that, if all was still on track by the next meeting, her children could come off the plan. The meeting just showed me how far we had come. When I took on this role three and a half years ago, Child in Need plans were almost unheard of in Birmingham, something Ofsted rightly took us to task on. What I saw last week was them not only happening, but in this work truly making a difference. And that’s a credit not just to BCC, but to everyone who participates them from all agencies. The second part of my afternoon was rather different. We went to visit a grandmother who was looking after her daughter’s children. The children had been there a year, and had been served by a succession of social workers, with none of them holding the case long enough to know and help the children properly. It was a simple case of drift. My guide had been given the case and to sort out, and that day it meant having a very frank conversation with the grandmother. A case review was coming up the following week, and there the hard decisions would have to be made. The grandmother complained about how long the family had been in limbo, and neither of us could blame her. She asked if her daughter might get the children back- my social worker couldn’t lie, it wasn’t looking good. The hardest part though wasn’t talking with the grandmother; it was playing with the children. I’d been told before we went in what they had been through- helping a little girl dressed as a Frozen princess make paper toys, it was simply impossible to imagine how her mother could have let her see what she had. Chasing after a toy horse with her little half brother, I wondered if he (of, for that matter, his mother) would ever find out who his father was. Most of all, I wondered what on earth they’d made of the last year, and whether we could ever make up to them for that lost time. I sit in meetings and worry over recruitment and retention and timescales, and this is the reason why. When I get told how many staff have turned over in the last quarter, behind every worker leaving are children like these whose story we have forgotten a little more of. When I get told that caseloads are rising, I know that children like these will have to wait a little longer each time to get the attention they need. I don’t blame the workers who go- I blame us, when we don’t make it possible for them to stay. We have a long way to go still in Birmingham. For some time we will have to carry the legacy from the times when we didn’t help children enough, and the little ones I met that afternoon are part of that. But, we should pause for a moment sometimes and look over our shoulders at how far we’ve come – the Children in Need meeting I went to simply wouldn’t have happened a few years back. The recruitment and retention picture is improving. The budget is better. The timescales for children to get the help and attention they need are reducing. My social worker asked me as he dropped me off if I was thinking of going into his line of work – I had to tell him I’m not. The respect I have for the work that you, all of you, do with our children was already enormous, and by the end of that afternoon it couldn’t have got much higher – and it was very clear to me that I simply do not have what it takes to do your jobs every day. But what I can do is give you the space, time, and support you need to work with children the way I know you want to. And, together, we will carry on striving to give Birmingham’s children the service they deserve. This week I bumped into my social worker and he told me the children I’d seen had gone into foster care the day before. Things are moving for them, and they will for us, too. 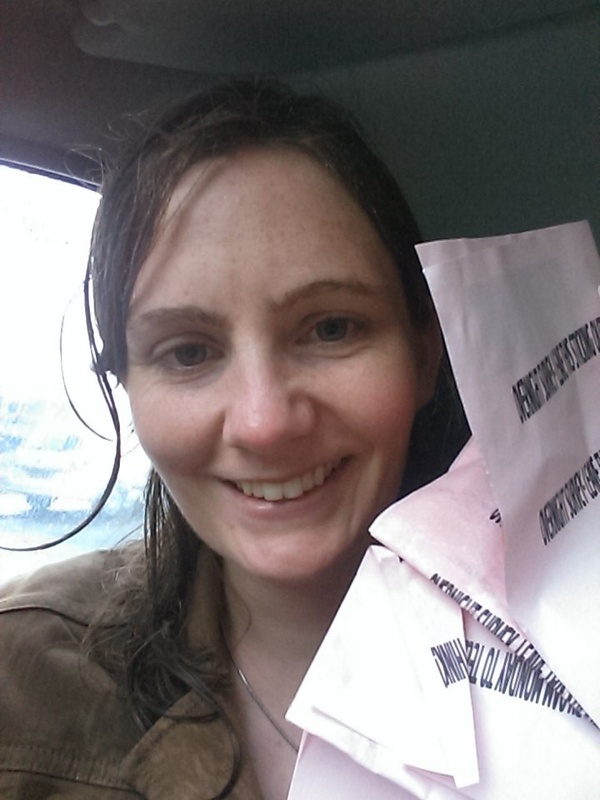 This week kicked off with me on Monday morning out in the wet and cold, stupidly dressed in just a light jacket, collecting the surveys I’d left with residents the previous day’s doorknocking. Oh the glamour. Back for the weekly round of Quartets and Cabinet Members, the interesting addition to the day being the half termly meeting between myself, senior officers and academy sponsors in the city to keep in touch. I’m told this is one of the only such meetings in the country- I take the stance that whatever type of governance your school has, if you have Birmingham children in there I want to work with you. They’re really good meetings, and from what the sponsors tell me a reminder of how isolating it can be to be completely adrift of the council and city and how much more we can actually achieve together. Tuesday‘s highlight was Cabinet, a formal meeting where we take decisions on strategy and spending. Monthly performance measures were challenged by our opposite numbers- predictably, given the safeguarding situation, rather a lot of it came my way. Re-tendering a foster carer framework contract and refreshing the Think Family programme approach for its second phase made up most of my items. Wednesday, an 8am start at Primary Forum- each phase has it’s own head’s forum and I try to attend at least once a half term to keep in touch. Lively debate about a number of issues, including the Early Years Review- more on that on a blog to follow. Easily the highlight of my week, probably month, potentially year- I spent Thursday afternoon shadowing a social worker in the south of the city. I try to get out to visit staff at work as often as I can, but have wanted for some time to go out again and see the actual work they do, something I last did two years ago. It’s one thing to know what a social worker does in theory, it’s really quite another to look a woman in the eyes as she’s told her grandchildren may never go back to their mother. I had an incredibly varied an insightful time and am really grateful to my chaperone for letting me come along, and to the families who let me have a glimpse of the work we do with them. My respect for everyone on the frontline of our service was re-doubled, probably re-tripled by the end of the day. Every time I think I’m having a tough day in the office, that afternoon is what I’m going to think of to remind me that I’m really not. Friday, out and about in my ward- I try to keep Fridays for Selly Oak. Met with representatives who are hoping to meet with city planners to discuss the area, and residents near a pub to address some of the problems associated with it. Saturday, another door-knocking session, near Cherry Oak school to check if the recent expansion had any impact on traffic. The weekend began on Saturday evening, leaving just enough energy to check out some of the Birmingham Weekender on Sunday. Pity the poor BBC Digital guy who started talking coding to the girls with physics degrees. Less an actual diary this week, more a description of what I do in a typical Monday-Sunday to give some context to later posts. This one however saw me meeting the Secretary of State for Education and attending the opening of new New Street Station, two things that are fairly atypical…. Mondays for me are always dominated by a Quartet meeting of some sort. Contrary to it’s name, it neither consists of four people nor features any music, instead being a top team meeting focussed alternately on safeguarding or education. The core attendees are myself, Albert Bore (Council Leader), Mark Rogers (Council CEX) and Peter Hay (Strategic Director of the People Directorate). Others in attendance vary according to topic; Safeguarding Quartet is a purely internal meeting, whereas Education features Sir Mike Tomilinson, our Education Commissioner. We check up on progress against plans in the relevant area, and take a look at any particular issues of interest. This is followed by a weekly Cabinet Members catch up meeting, where we all exchange notes on the week that was and the one ahead. Monthly I chair the Children’s Improvement Programme Board, which takes a more in-depth look at safeguarding progress. The evening was taken up with another monthly fixture, a Labour Group meeting, where we discuss the Council meeting that will happen the next day. This finishes at 8.30pm. Tuesday, an Executive Management Team Meeting (EMT), where Cabinet and senior officers come together to discuss strategic issues. We do this thrice a month, the remaining week given over to a formal Cabinet. Then followed the monthly Council meeting, a succession of question sessions, Overview and Scrutiny reports and motions. After a 7pm finish follows a debrief in a pub. Wednesday, up early to London to meet Ms Nicky Morgan (as you do) to discuss progress on our education plan. No concerns were raised other than the sustainability of leadership arrangements; we are looking to twin track a permanent appointee with the current interim, Colin Diamond. Rush back to Birmingham to appear at the Education and Vulnerable Children Overview and Scrutiny Committee, another monthly event at which councillors from all parties meet to, predictably, scrutinise and take an overview of work in my portfolio. I was there to discuss the new Curriculum Entitlement Statement which sets out what young people in our schools are entitled to educationally. Early finish. Thursday, my weekly briefing session, where officers brief me on current events and issues. Then to Birmingham Education Partnership (BEP) offices in Digbeth, to meet with their chief executive. Ran back to the council’s Woodcock Street offices to attend an Ofsted feedback session- they’d been in to do an improvement visit, and gave some constructive feedback. Then back to the Council House to meet with Sutton councillors about a local school expansion. Should have worn a pedometer. Friday, an early catch up with my ward colleague Karen about ward issues in a rather lovely new coffee shop in Selly Oak, then into town for a precious quiet period to catch up on emails. Then a little light relief- the New Street Station opening. Spectacular. Saturday, an advice bureaux in Selly Oak. Three attendees with various issues. Then, a half day off, followed by door knocking on Sunday to ask people about local parking issues.